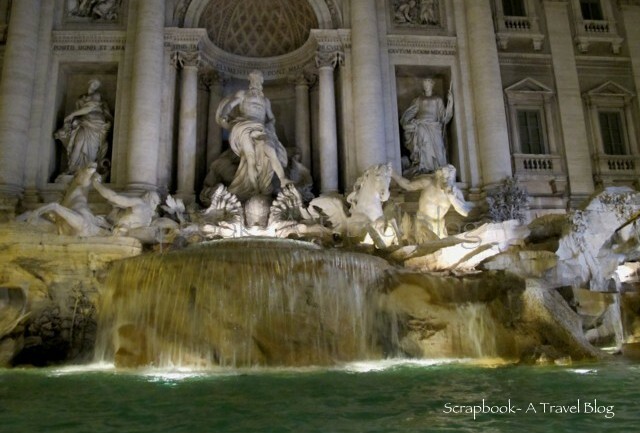 On the last day in Italy I went to Trevi fountain in Rome. Just before that We had a dinner with opera singers entertaining us. Lots of pasta, wine and tiramisu. A ride in Rome during the night was fantastic. The basilica in Vatican city was decorated with lights. It was breathtakingly beautiful! I wished my visa was valid for few more days that I could wander around on my own. And that was my trip to Italy! A trip through grand St Peter's Basilica in Vatican City, deep rooted history of Roman colosseum, the massive cathedral in Orvieto, family style lunch in sunny Tuscany, home of medieval wonder of the world- Pisa, Florence- the birth place of renaissance, Venice- the queen of Adriatic, peaceful Assisi, World Heritage Site of Pompeii, the resort island Capri and the music of Sorrento! Well, I missed that city of music- Vienna and sunny Sicily! Remember? I did throw a coin into Trevi! I will be back in Rome and so in Italy! what a great trip to italy. hope someday you find yourself back in this beautiful land. Thanks! Yes, I would love to go back! Wow this is informative, we're planning on a european trip including italy next year.. any suggestions what sites to visit in italy?